Eigg Ferry Port offers regular ferry services to Mallaig, on mainland Scotland. Eigg is a small island, 3 miles wide and 5 miles long, in the Inner Hebrides of Scotland. Port address: Caledonian MacBrayne, Isle of Eigg, PH42 4RL, Scotland. 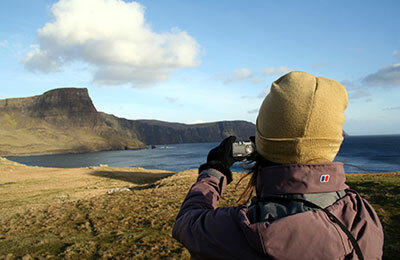 Since Eigg is a small island, the port is very easy to reach and the centre of Am Laimhig is just a short walk away. The Am Laimhig Centre is 5 minutes' walk away and has a shop, tearoom, and craft shop as well as toilet facilities.